Are you ready for the best find the difference games? Also, if you’re a fan of fast cars, today you have a chance to look for differences between the two pictures of popular cars. 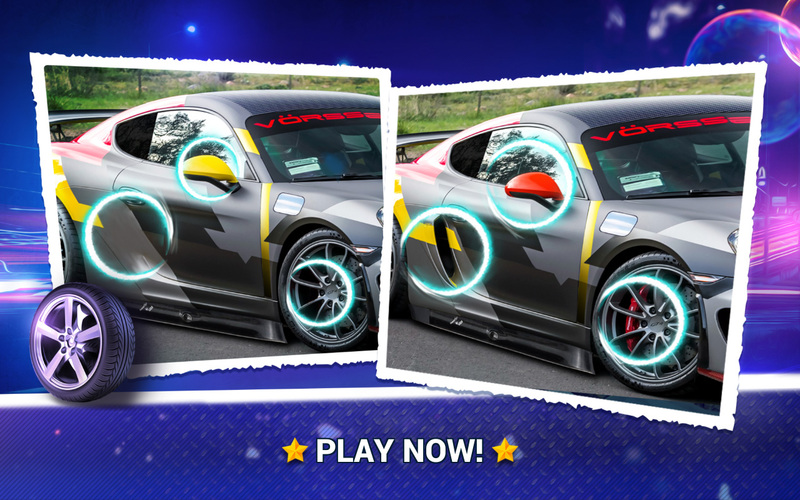 Have your visual skills tested with the newest game by Midva Find the Difference Cars! 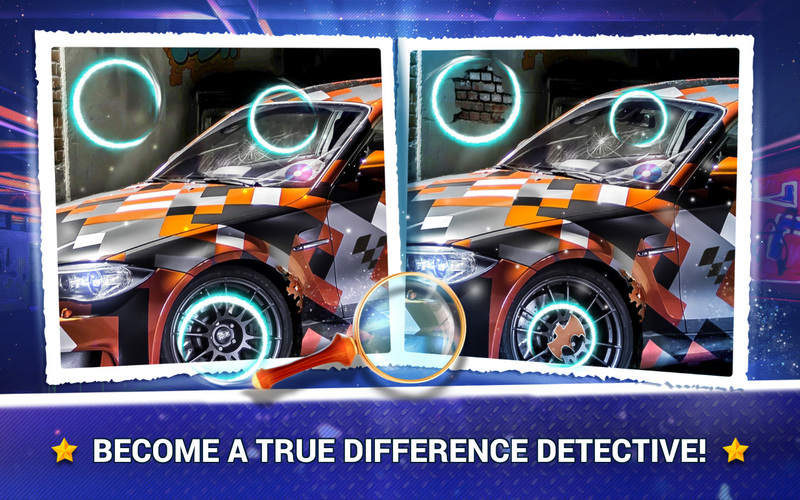 This exciting find the difference adventure will take you to a car garage filled with small details. Therefore, if you like to find the difference in rooms, you will enjoy playing this spot the difference game. Download free today and entertain yourself during your leisure time. For all fans of car games! A different number of differences per level! Supported languages: Bahasa Indonesia, Bahasa Melayu, Dansk, Deutsch, Español, Français, Italiano, Nederlands, Norsk Bokmål, Polski, Português, Srpski, Suomi, Svenska, Tiếng Việt., Türkçe, Ελληνικά, Русский, ภาษาไทย, 中文, 日本語, 한국어. Are you looking for find the difference games with levels? Are you prepared to search for difference and spot it immediately? Seems like you’re at the right place. Our team has created another version of the popular find the difference photos. This time you will visit a messy garage! 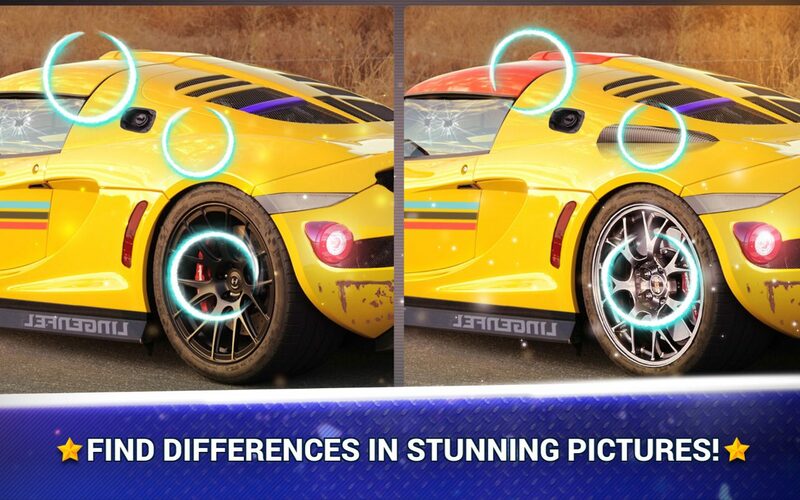 There, you will find the difference in the pictures of Ferrari, Mercedes, BMW, Porsche, and many other fast cars. 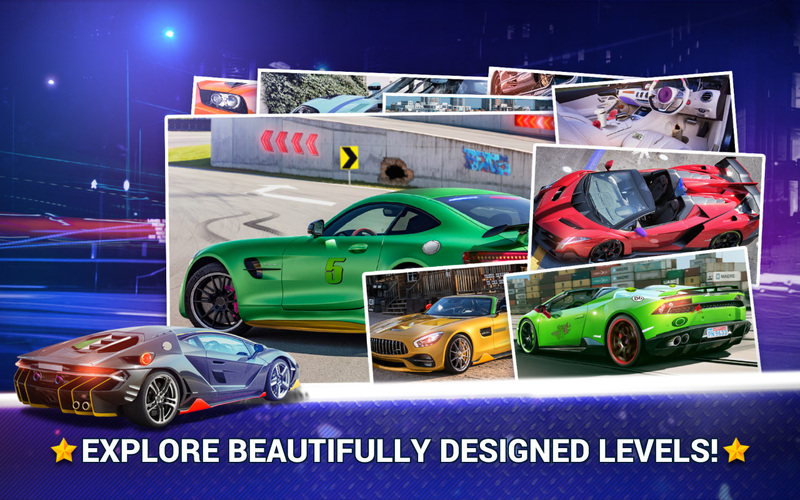 Hence, if car racing is your favorite pastime, now is your chance to enjoy the best car game find the difference no time limit. Enjoy colorful graphics and intuitive gameplay! This photo puzzle will take you to the magical find the difference world where you will become a real eye spy. If you have a talent for discerning small differences between pictures, Find the Difference Cars will become your new best friend.